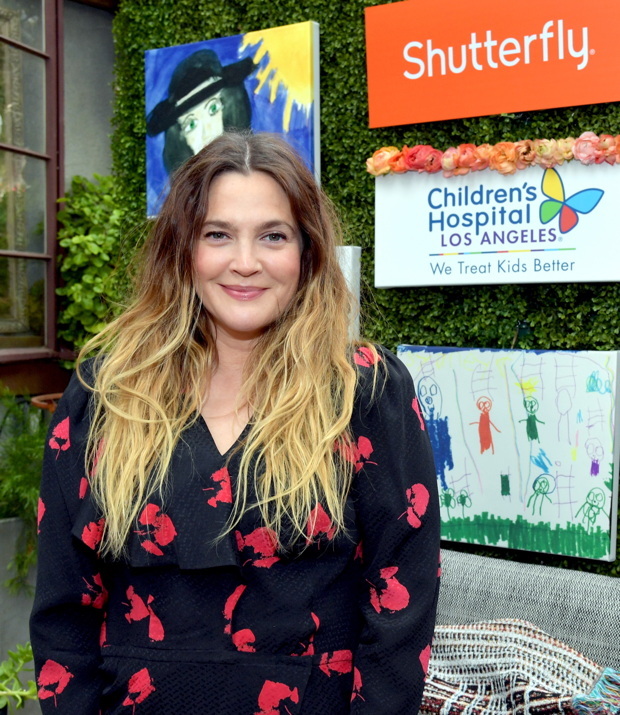 Actress/producer Drew Barrymore is extending her reach way beyond Tinseltown. In the spring she rolled out a Rose collection, and now in partnership with Shutterfly, the star (famously of E.T. and Grey Gardens), just introduced a new line of home decor items. It’s not the first time Barrymore has teamed up with the web-based publishing group—her curated 2015 holiday line for them was so successful that it paved the way for a more extensive collaboration introduced this week–and just eight months later. Here we show some of our favorites from the line, called the Drew Barrymore Home Collection, which is distinguished by colorful textiles and a light-handed sense of design whimsy. To celebrate the launch Barrymore also shared some of her favorite home decorating tips. Here’s what the actress recommends for a chicer home. In the pink: Pillows can create a fresh look to a room without any major effort–in bedrooms, living rooms, or even window nooks says Barrymore. Personalize these vases for family and friends for birthday gifts or anniversaries. Fleece Sherpa: Throw on a sofa, use as a picnic blanket, or just wrap around yourself—they are as cozy as they are cute. This stylish duvet cover adds a sense of bohemian sophistication to a bedroom and can brighten up a space of any size.